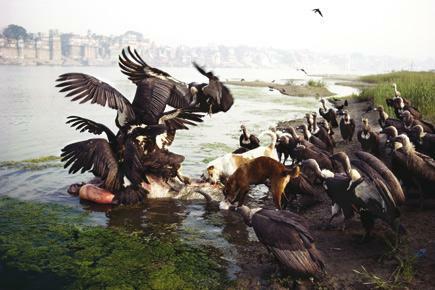 Should the vultures of India be as fortunate as the Virginia Quarterly Review. The esteemed literary journal went through upheaval last year, but like some phoenix, has risen again, Ted Genoways back at the helm. The spring issue, Ruin and Rebirth, features my piece, “India’s Vanishing Vultures”, accompanied by amazing pictures by Ami Vitale. (I dont have rights to her photos, so this spectacular one is by raptor biologist Munir Virani.) It’s not online yet, so pony up the $14 and get down to your local bookseller and support journalism! Thick as a book, this issue features Elliot Woods with the trash-pickers of Cairo, Chien-ming Chung on a journey to where all our electronic waste ends up (hint: it involves an open skillet and children) and a heart-breaking yet crucial account by J. Malcolm Garcia of the debilitating and ignored ailments our veterans are returning from Afghanistan and Iraq with after residing next to open burn pits on military bases. OK, so maybe not the cheeriest of topics, but all part of our brave new world. Late-breaking addition! No pictures yet, but the story is available here. Some good news arrived from the EPA yesterday, when they announced a ban on carbofuran residues on food in the US, including imports. The highly toxic insecticide does such a great job at killing little critters that eat plants that some herdsmen in east Africa have been baiting carcasses with it to eliminate larger competitors as well, such as the leopards and lions that predate domesticated livestock. Whether a carcass has been deliberately baited or an animal is weakened or killed by consuming treated crops, the result is the same. 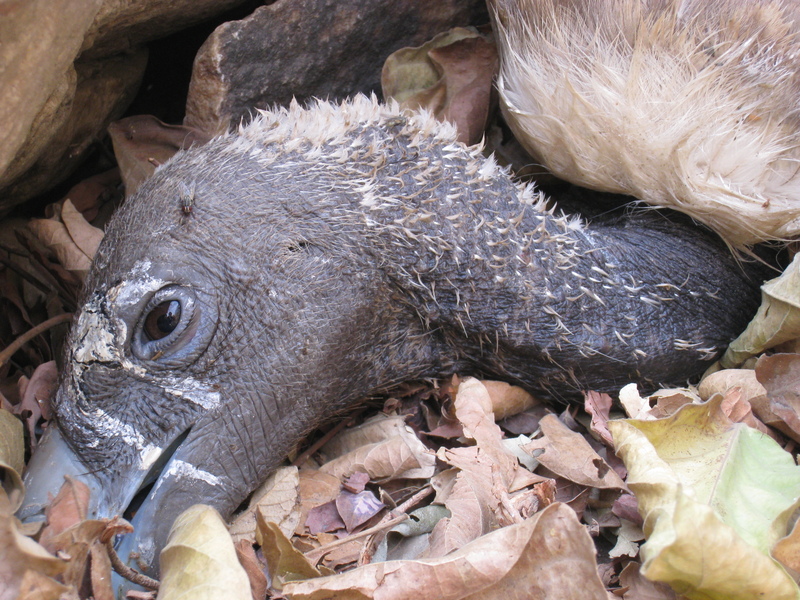 Lions and other large predators are dying along with scavenging vultures. 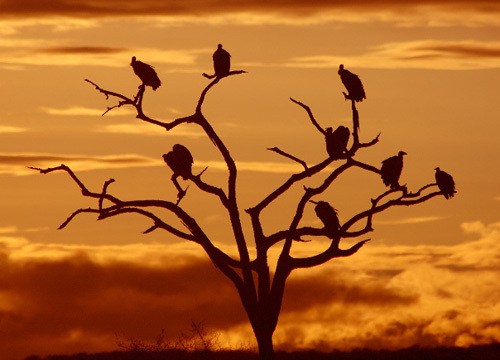 See a BBC video of a staggering lion and vulture here. It has long been known to kill seed-eating birds as well. Sold under the trade name Furadan by US-based FMC Corporation, carbofuran in food can, of course, have the same detrimental effects on humans as well, especially children who are more susceptible to low dosages. It acts systemically, absorbed by the plant so that aphids, for example, munching on the leaves of a soybean plant die. Those residues don’t magically disappear when those same soybeans reach a human market. One of the most toxic insecticides on the market, it acts as a neurotoxin. Kudos to the EPA for recognizing that there are certain things we can and should live without. Continued pressure on FMC Corp. will help eliminate its sale globally, so that African and other babies and living creatures–human, avian or leonine–can also be spared the lethal effects of growing up in an increasingly toxic world.